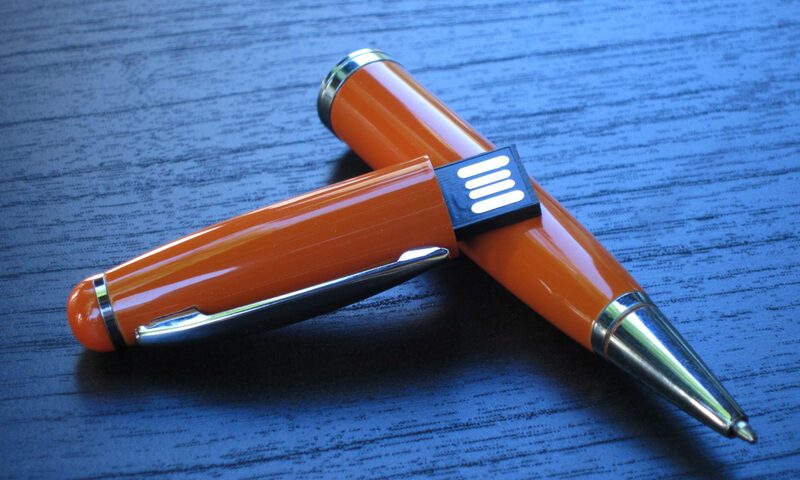 Lately, we’ve been writing more about the custom made USB flash drives. These greatly enhance your presentation with a product that’s truly customized for your brand. While having a custom made drive is effective, all is in the details! One of the most impressive details is having a molded logo or text on the flash drive, instead of having it silkscreened, laser engraved, or hot-stamped. The branding is raised above the drive or pressed into the drive to create a physical and visual effect that is hard to surpass. In addition, the branding can be done in any color to keep up with your branding needs. Most of the branded USB flash drives in the market (e.g. Patriot, Corsair, Kingstone) have utilized the molded branding method with their so called rubberized drives. Even though the actual martial is PVC or Silicone, the look of the drive is engaging. The rubberized surface is great to the touch, and when dropped the material protects the internal electronics from shock. I personally own two large brand flash drives. The Corsair Voyager and Patriot XPorter XT. The images of these drives are below. It is clearly evident that these drives feature a popping text that is sure to attract attention. The text stands out from the drive body and is highly distinguishable. Most importantly, the drive looks fully thought out, impressive, and complete to represent the company. It is not just a generic drive with a name simply stamped on it. If you need one more reason to go custom, I think this presentation will make you consider taking a new approach towards the promotional USB drives. When you decide to do a USB flash drive for your promotional needs, go custom; and let us help you making your concept turn into a reality.